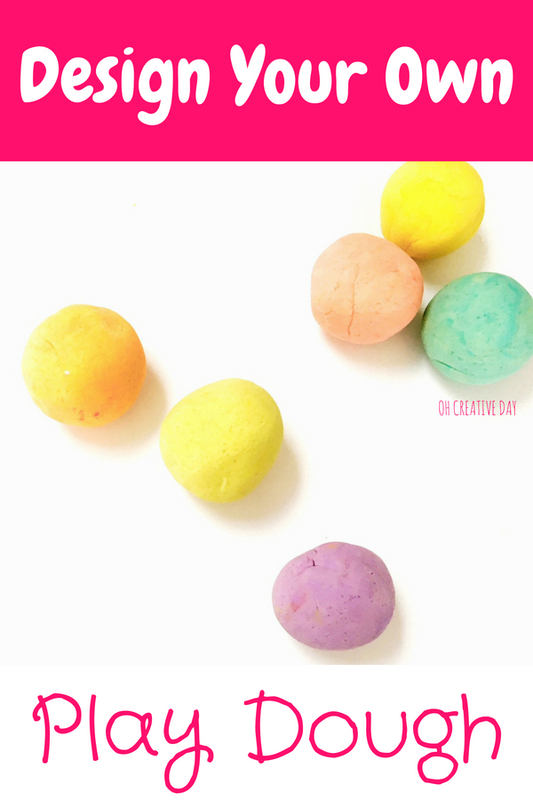 We are always searching for new and fun play dough ideas around here. 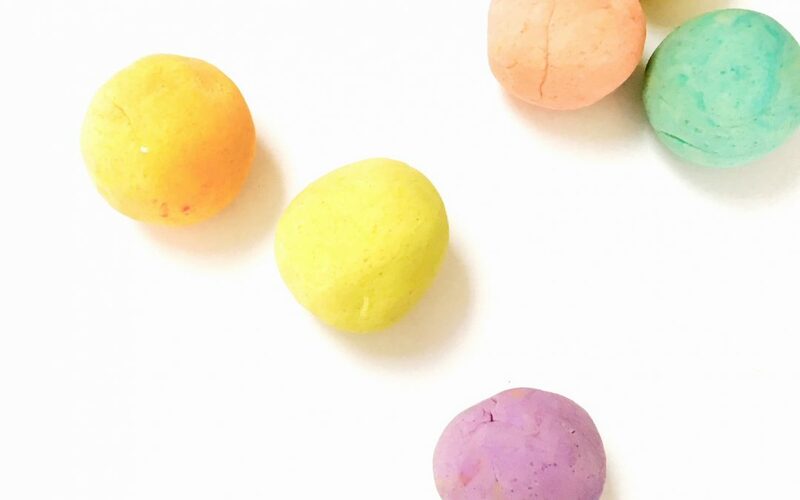 The most popular idea of late involves using our freshly-cooked play dough as a canvas. 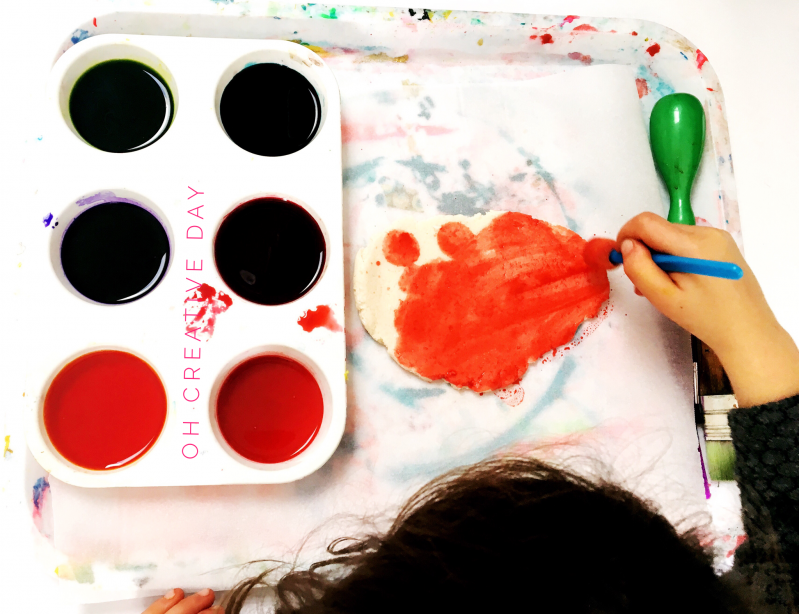 Once you have a fresh batch of play dough, pour some liquid water colours into a palette and gather a selection of painting tools. Food dye could also be used in place of liquid water colours. Perhaps water down food dye as that stuff can leave your hands stained for days! We always cover our work space with some baking paper. WARNING: hands will become colourful with this activity. Which increases the fun by about 6000%. If stained hands are a concern for you or your little one, I’d advise wearing gloves. 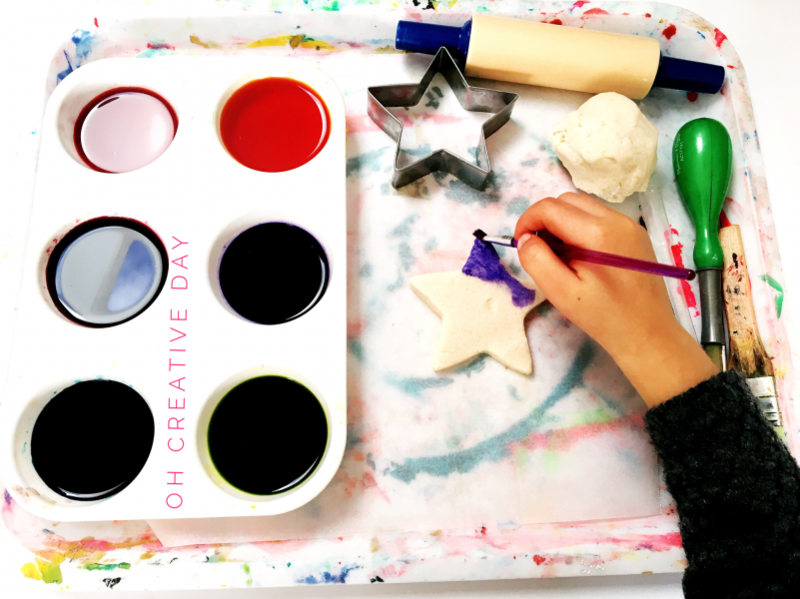 Roll out a piece of play dough and experiment with adding different water colours. What happens when you massage the colours into the dough? What colour do you end up with? Cookie cutters+ play dough = a natural partnership. 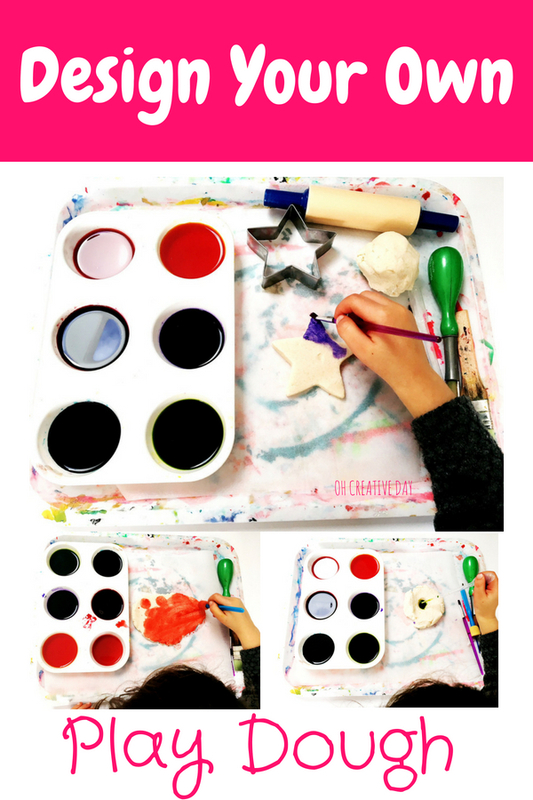 Use your cookie cutters to cut out shapes and paint your shapes all of the colours. My kids will never say no to an activity involving pipettes. 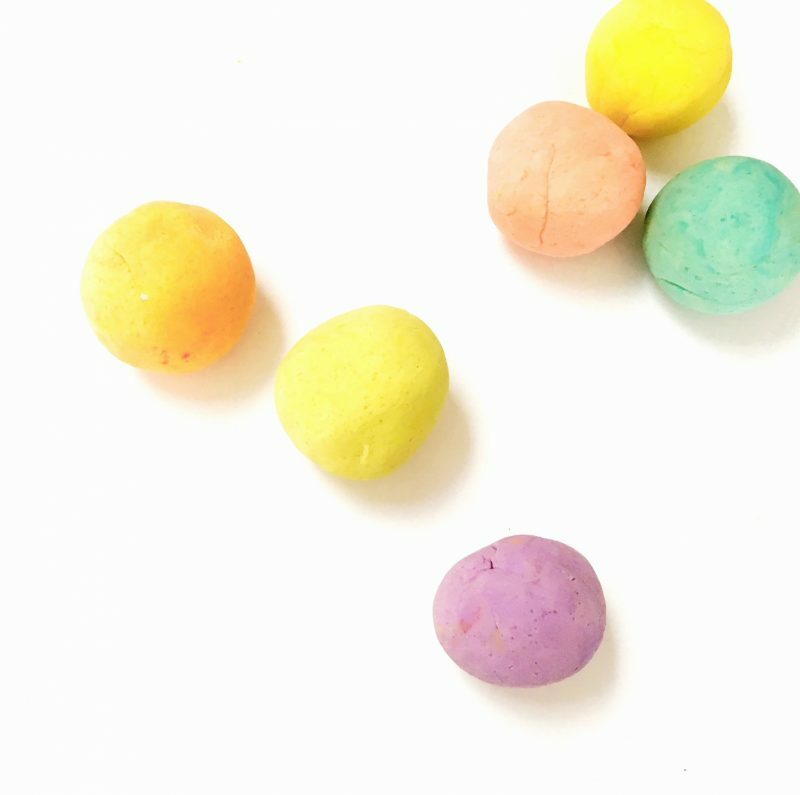 They are a great way to add colour to your play dough canvas. 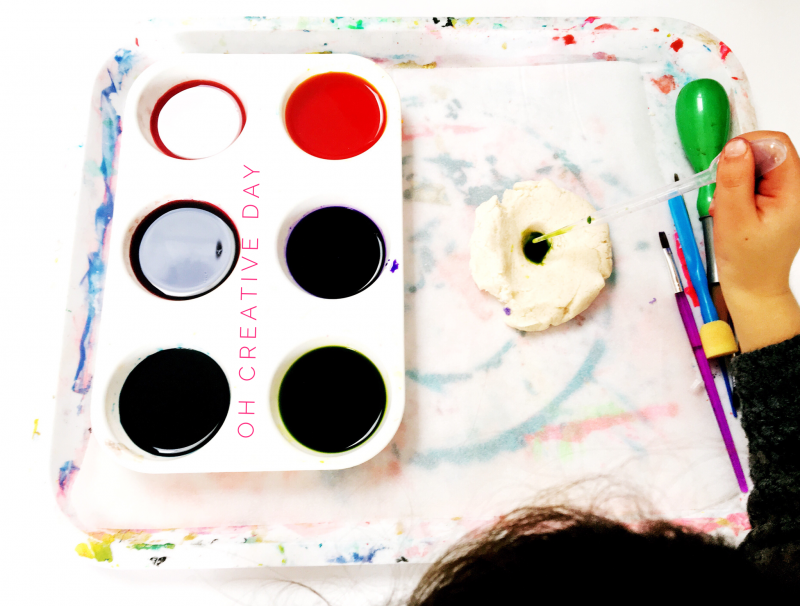 You could invite your mini artists to experiment with all kinds of different paintbrushes. Play dough is such an excellent way to develop fine motor skills. If you’re after even more simple but FUN ideas to encourage your children to develop their important hand muscles, then check out the Happy Hands eBook.